Director of Projects in the Ministry of Finance, Dr. Drexel Glasgow said the procurement workshop is a part of the efforts to accelerate the implementation of CDB Rehabilitation and Reconstruction Loan (RRL), to strengthen capabilities of local businesses for timely and efficient implementation of the loan. 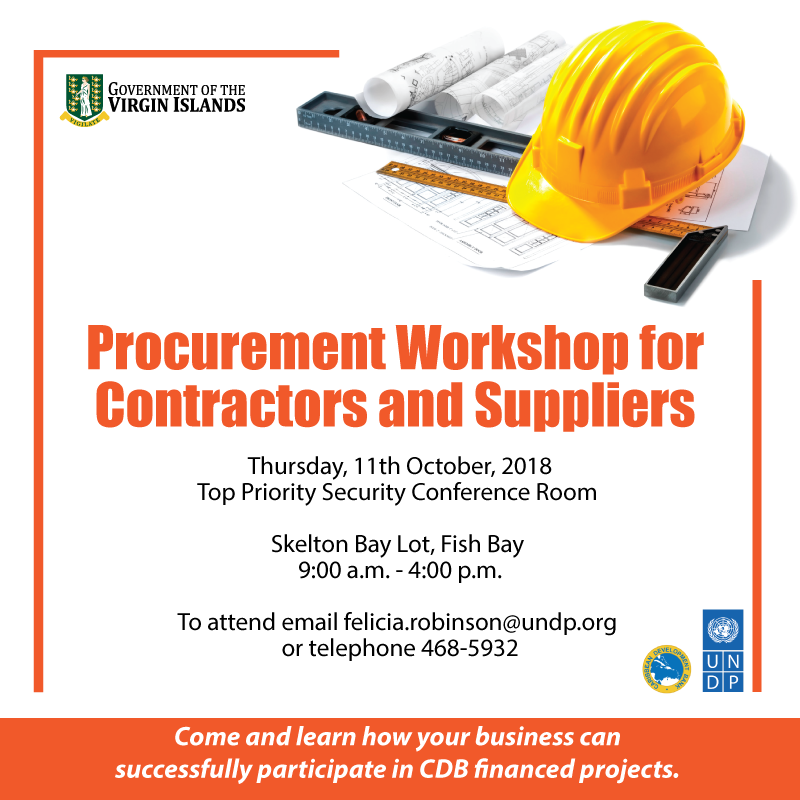 The training will be facilitated by experts from UNDP and will primarily target contractors and suppliers, to improve their capacity to effectively respond to bidding opportunities available under the CDB loan. Public Officers will also undergo training to aid in the execution of this project in an effective and efficient manner. “We are also training Public Officers to provide a direct response to the increasing demand for procurement specialist to service development projects financed by CDB. This will enable us to effectively service public procurement operation whether financed by the Government and other development partners,” Dr. Glasgow added. The Government of the Virgin Islands remains committed to building the Territory stronger, smarter, greener, better and more resilient.